Here are the poems I have picked to post by the Year 6 children at Titirangi Primary School. Not cats but favourite places. Chelsea is 10. I really love this poem-picture she made of her grandmother’s garden. The real detail helped the picture grow. I especially love the way ‘garden’ is in the title but there is a slightly different word at the end of the poem. I hope her grandmother reads this. Great job Chelsea! skipping under the sun, dancing and laughing. birds chirping, the wind howling. Oh, I love my grandmother’s gardening. Isabel is 11. I love the thoughtfulness of this poem. It took me right to the gallery and I felt like I was standing there looking at a painting. I really like the ending. It makes me pause and wonder too. Great job Isabel! Cold stone tiles under my feet. Sounds echo in the rooms. Glass walls show the world real art. Bright colours and historic art meet. Wonderment fills the eyes of the onlookers. A garden with sculptures surround me. It makes me pause, then wonder. Cassidy is 11. I love the delicious words on the end of the lines in this poem. 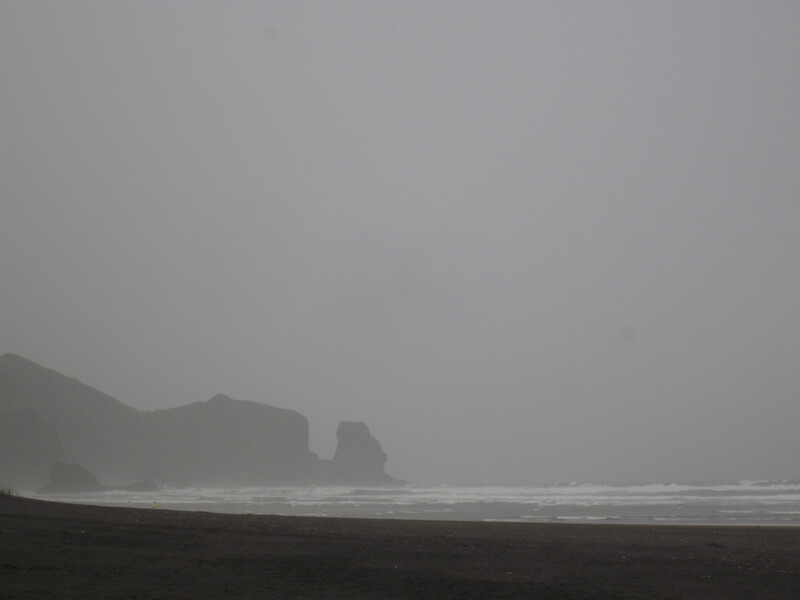 The poem makes a terrific picture of Piha. This is not any beach it is most definitely Piha so the words work well. Great job Cassidy! surfers are running across the beach. Heather is 10. I love the bright detail in this poem. And the way the poem moves to the last line. Some very tasty words make this poem shine. Great job Heather! Reid is 10. Reid has shown you don’t need to use heaps of words to write a cool poem. I love the delicious words, the striking images. I love saying this poem out loud: ‘sharp dark rocks’ — how good is that. I think Reid has made a poem postcard. Great job Reid! This entry was posted in Poetry and tagged poems by children, Titirangi Primary School on August 30, 2013 by Paula Green. silly cats, baked-bean cats, cats cats cats! This week I did some writing workshops at Titirangi Primary School. The children wrote some terrific poems, but what I really loved was the conversation we had about the poems when they read them out. We had an hour and half per session so we could really take our time. The students were great at listening to each other and picking out the little bits of XFactor in each poem. So congratulations budding poets — I really loved working with you. I loved the way you took up the challenges. I have picked some poems from each session to post. These are from the Year 4 and 5 group. I was in the mood for cat poems, so we wrote about cats (plus a dog or two, a mouse and a bunny!). We went on a big cat word hunt and then used our ears to listen as we wrote. Luke is aged 8 and is in Year 4. I love the first line of this poem as I am not sure what will come next. I also like the length of the lines he chose. They work well here. And I love the eating! Great job Luke! chasing a big, juicy rat. Ruby is aged 10. I love the first line of the poem and I love the last line and I love all the lines in between. This poem tells a little story and it sounds good. Great job Ruby! Meg is 9 and in Year 5. Meg is got great detail in her poem. I can picture the cat so well in my mind because of the real things Meg thought of. Her poem flows well and tells a story. Great job Meg. and begs to be patted. she was found in the wild. she has to eat diet food. Her eyes are bright and shining. and she often whines by her food bowl. Her eyes are half closed when she’s happy. Kiera is aged 9 and is in Year 5. I love the sounds in this poem — the way you go from dab to dob to red and bed. Kiera has picked lots of words that shine in the line. Plus I liked the ending. It surprised me.Great job Kiera! with a hint of ginger. and a dob of red. and bathes in the sun. is cuddle up to you. she turns Mum’s hair grey. Louis is aged 8 and is in Year 4. I love this poem because it surprised me. I like the way the first two lines swap about. I like the word ‘hiss’ on the end of the line. I like the way chase rhymes with pace. There is a lot of splendid action in this poem and some very shiny words. Great job Louis! Now they come to peck her. Oscar is aged 10 and is in Year 5. I love the way you can tell Oscar loves his bunny in this poem. He has chosen great words and his poem has a great rhythm. Great job Oscar! Arlo is aged 8 and is in Year 4. I love this poem. Mumford sounds a bit mischievous. Arlo has really made the dog come alive in his poem as he has hunted for great detail. This poem sounded good read aloud. It told a story. (Yes the dog is named after Mumford and Sons) Great job Arlo! This entry was posted in Poetry and tagged cat poems, poems by children, Titirangi Primary School on August 30, 2013 by Paula Green. Today on the way to the beach I saw two sheep under a tree and it gave me an idea for poems, but when I came back to photograph them for you there were no longer two sheep under a tree. They had vamooshed! But… not far down the road I saw two horses under a tree staring at me. Amazing! So I thought that could be the starting point for a poem too. You could do horses or sheep in my suggestions. 1. 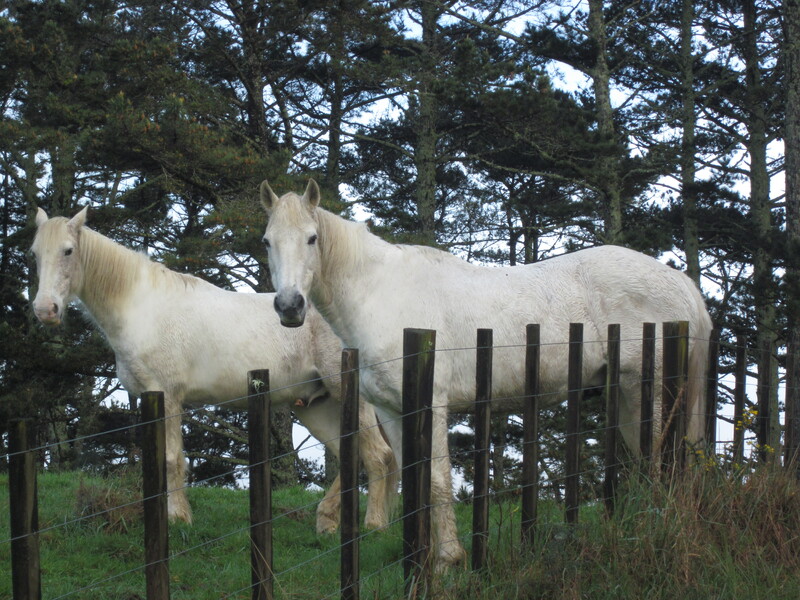 I took a photo of the horses, why not ‘take a poem‘ of the horses (or sheep). So your poem would be catching the horses with words. 2. Think of the horse words you can (or sheep) and play with them until you come up with a horse (or sheep) poem. 3. ‘Two horses under a tree’ or ‘Two sheep under a tree’ might be the last line — but where else might they be? This might be Dr Seuss zany or more serious. It might rhyme or not rhyme. 4. Try a writing a horse poem (or sheep of course) using ten verbs (action words or doing words). 5. Try a writing a two horses under a tree poem with a surprising ending. Have fun and send to paulajoygreen@gmail.com. Include your name, age ,year and anme of school. This entry was posted in Poetry and tagged poems for children, Poetry challenge on August 30, 2013 by Paula Green. When I was in Christchurch I visited Fendalton Open Air School, and did a long workshop with keen writers. It was such a great experience for me as the room buzzed with scratching pens and poems. I loved the way students were willing to give anything a go and take their poems into the playground of words. Thank you lovely young poets – visiting you was a treat! Here are three poems that caught my ear as the students stood and shared them. Rory is aged ten and in Year 5. I love this poem. I love the way the words curve and repeat and sing and shine. It makes a place I have never been to (I want to very much!) come alive in my mind – a little glowing Akaroa. Great job Rory! like a ray of fire. gliding down from the cloudless sky. as they tread down the sloped hills. like trees not making a sound. Patrick wrote this wonderful poem about a place he went to stay in Australia after the quake. When I hear him read it i could hear the love he felt for it shimmering in every line. The short lines work a treat. I love the build up of things that make the place so vivid. Great job Patrick! Charlotte wrote this poem. She is 11 and in Year 6. I really love this poem as it has surprising lines that make me see Lake Wanaka a bit differently. I also like the shifting rhythms in the poem. Great job Charlotte! This entry was posted in Poetry and tagged Fendalton Open Air School on August 29, 2013 by Paula Green. It was one of those poetry days on the beach this morning with the wind tearing like a wild thing up and down and the hail nipping my cheeks like a fierce puppy. Some tourists were racing back, sopping wet. Soon I was sopping wet and all I could see were the faint dots of Michael and the dogs running in the distance. Sometimes it is really wonderful getting really wet and really cold before you get home to get really warm and eat a piping hot savoury scone before you have to go out and do things. This entry was posted in Poetry on August 29, 2013 by Paula Green. a little rosie rosie poem that is oh so cool! When I was at Storylines Family Day in Auckland I had a box where children could post poems for NZ Poetry Box.I am now posting the winner. See below for the prize. I really love this little poem by Emma. Emma is in Year 1 and aged 5. Hip hooray Emma, this is a beautiful poem. I do hope you send in some more. Even 5 year olds can go in the competitions. 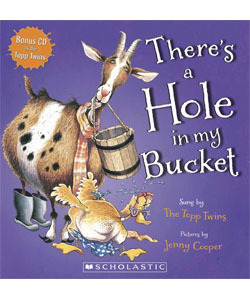 Thanks to Scholastic Emma will get a copy of There’s a Hole in My Bucket. The story is beautifully illustrated by Jenny Cooper and the song is sung by The Topp Twins. (Scholastic, 2013). This entry was posted in Poetry and tagged poems by children, Storylines Family Day on August 28, 2013 by Paula Green. Here are two poems that got sent in for the fabulous poetry competition. One is short and one is long. Both of these poems rhyme but remember story poems don’t always have to rhyme. Sometimes I read poems where the rhyme fights so hard to rhyme it no longer makes sense which is a trap! Sometimes it stops the flow of the story. But when it is good it can help the flow and add to the music of the poem. Like it does here! Cara is 8 and goes to Freemans Bay Primary School in Auckland (this poem made me laugh!). A mountain of sheep running to a creek. Louie is in Year 5, is aged 9 and goes to St Martins Primary School in Christchurch. He has written a longer poem that also made me laugh! The rhyme here works beautifully. when away snuck an elf by the name of Fred. Fred was horrid and would even trick his dad. Fred was sneaky and Fred was slick. and I can assure you that it was dastardly. Fred was going to fill Santa’s pillow with ice! Santa’s head fell and rested on his mattress. it was cold and frosty and made him feel queasier. and just for good measure, poured in some spice. Santa woke up quickly; it gave him such a fright. and gave him a big punishment — mopping up the floor. This entry was posted in Poetry on August 27, 2013 by Paula Green.